International trade and finance, economic effects of trade barriers, neoclassical political economy. Professor Moore received his MS and PhD in economics from the University of Wisconsin-Madison. He has had a joint appointment with the Department of Economics and the Elliott School of International Affairs since receiving his doctorate in 1988. Professor Moore's main area of current research is the economics of antidumping policy but also works on determinants of foreign direct investment as well as the political economy of trade. 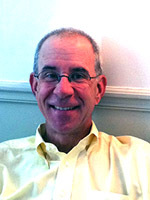 He has published in numerous academic journals including the Journal of International Economics, Canadian Journal of Economics, Review of International Economics, Economic Inquiry, and Weltwirtschaftliches Archiv, and has been a contributor to five book Professor Moore teaches BA, MA, and PhD courses in international trade theory and policy and BA and MA courses in international macroeconomics. He also has taught international economics to US diplomats at the Foreign Service Institute and students at the Fondation Nationale des Sciences Politiques (Sciences-Po) in Paris.